Being grateful is not easy. In fact, the term grateful itself makes me uncomfortable. It reminds me of the awkwardness of having to recite all the good in your life, in front of your class. The term is uncomfortable, often associated with the deeply religious or deeply free spirited. I am neither of these things and finding a middle ground, reclaiming the experience of gratefulness and feeling it’s benefits did not come easily to me. These experiences are definitely my own and I am not suggesting that being religious or free spirited is good or bad. It is, however, difficult to figure out how it applies to you if you do not identify with a category your action is mostly associated with. So, where does this leave you? How can you be grateful if, like me, you’re usually a pretty grumpy, gloomy and negative person? 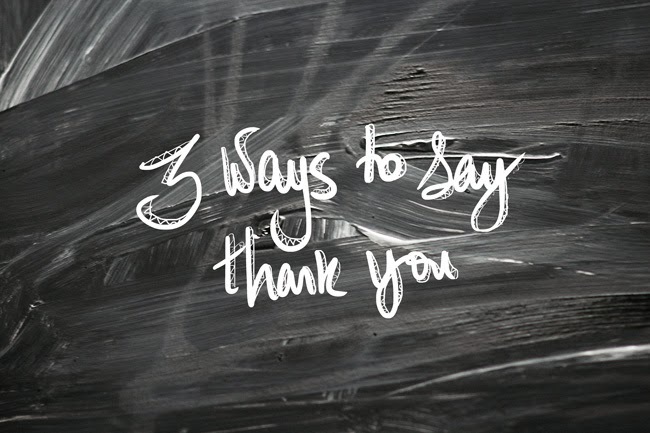 Following on from some of the research I did into gratitude (thanks Amit! 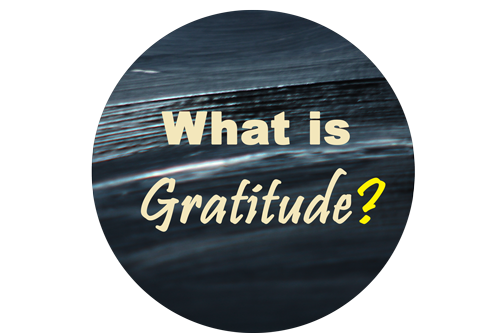 ), it has been suggested that individuals can improve their attitude and encourage their feelings of gratitude. There are lots of ways to share gratitude and experience the benefits. Even if you’re not at the stage of wanting to share all that you love with the world around you, you can still experience the benefits. 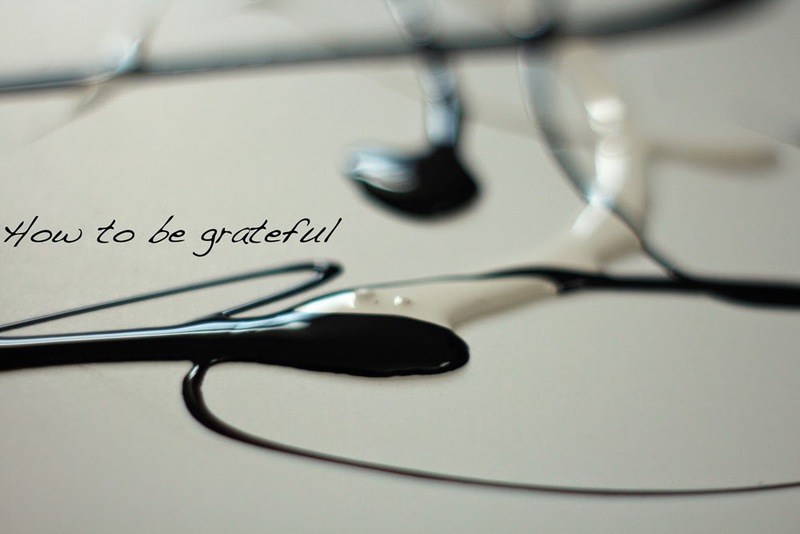 Thinking of grateful events has a bigger impact than when you write them down. It’s suspected that this is because when we write them down we are forcing ourselves to be grateful in a moment that may not be conducive to the act. Thinking can be done at any time and mindful thinking can help you experience really positive feedback as the thought occurs rather than stocking it up for later. Eamons &amp; McCullough (2003). What should I be grateful for? What other ways can you express gratitude? What works for you? Bono, G. and McCullough, M., (2006) Positive responses to benefit and harm: bringing forgiveness and gratitude into cognitive psychotherapy, Journal of Cognitive Psychotherapy. I have been working away like a fiend on my Etsy shop and it is now officially ready for Christmas and holiday business. 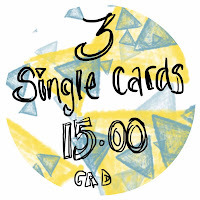 Now you can buy all your favourite cards from the lemon hive for even less! 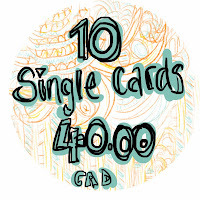 Each card is an original, hand painted or hand drawn notecard. These are not prints! They double up as art and look fabulous in a frame and they are individual. As unique as you and the recipient. Basically, they are a gift in themselves. 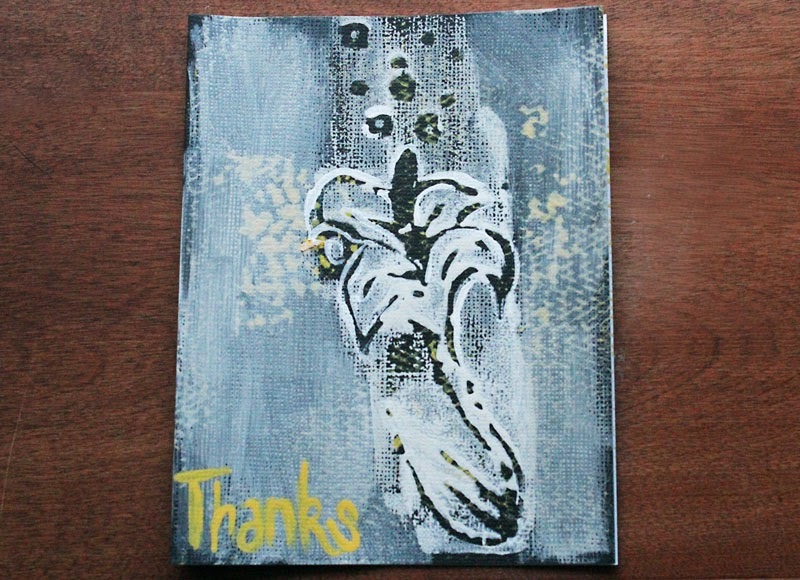 Why did I start creating hand painted cards? Having moved to Canada and having left all of my friends and family behind me, I was finding it difficult to afford sending them gifts all the time. It wasn’t the gift itself but more the postage costs. I wanted to give them something they could frame, that would bring them joy when they picked it up at the post office or when it landed in their letterbox. It was frustrating not knowing where to start. So, eventually, I started making my own cards. Writing great words in them and expressing my gratitude for their continued existence in my life and for their friendship and love. I received wonderful feedback about these cards. They became my go to for letting my loved ones know that I still missed them even if I couldn’t afford to send large fancy parcels of maple syrup. I started working on my art technique and dabbling in different styles and it’s fair to say that now I definitely have a rhythm and a definitive style. 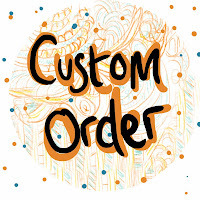 What makes the Lemon Hive Etsy Shop special? Customisation. 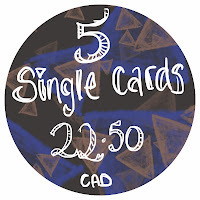 I will tweak, add to, make and design cards for you. I just completed a 130 Christmas card order for a bride in London. She wanted to have greetings cards at her reception that doubled up as place cards. It was a brilliant experience and I’m really looking forward to seeing them in action. I put customer service as a priority, with a 10 day turn around. It was intense but she received the cards within 2 weeks of ordering them. Writing the cards is another service I offer. I am very mushy gushy by nature but I know this isn’t for everyone and it can be difficult to think of the write words (see what I did there? right/write?). 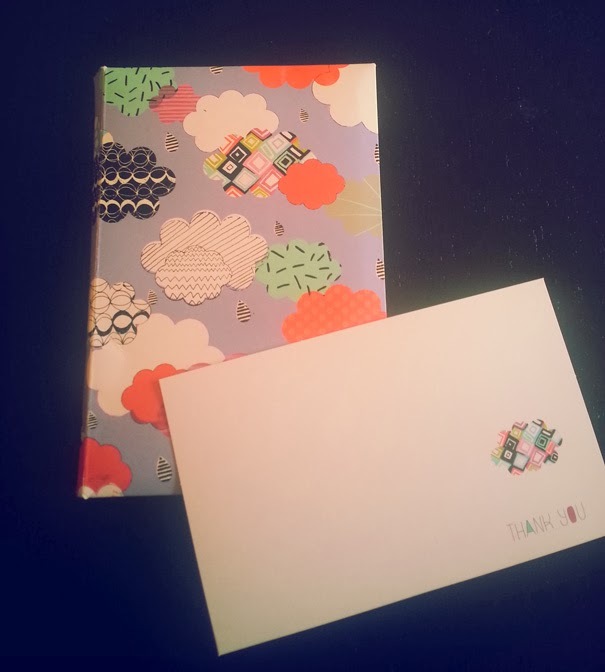 I am happy to chat with you about the recipient and pop it all into the card, posting directly to the person you miss. It saves you an extra postage cost and makes for a really awesome experience for the person receiving it. How has been an expat affected your take on notecards? I must admit, I didn’t really ‘do’ notecards before moving. Then my friends started sending me beautifully written notes and postcards. It was then that I realised I genuinely looked forward to ‘just because’ mail. I started decorating my envelopes and writing beautiful sentiments. I never throw a card away. They are all here in a, once little but now big, box in my office. Every now and then I look through them. Recently, I’ve been talking a lot about gratitude, what it can do for you and what it is. For those who are familiar with the 5 love languages, mine is words of affirmation. I like to express my love for others through telling them what they mean to me and why I think they’re fabulous. Being able to put this in something pretty and offer them a gift at the same time is part of what makes The Lemon Hive store so special. I want to broach that gap and be able to offer a great gift regardless of cost. They’re also a great choice for secret santa gifts and they pair up nicely with a bottle of wine! Gratitude Wednesday Part 1: What is Gratitude? The art of gratitude and being grateful can be hard. In some cultures, it can feel awkward and cumbersome to express little tidbits of thankfulness and grace. However, it’s a worthwhile challenge to do and the benefits of showing gratitude, appreciation and admiration are immense. Firstly, Erika at Chimerikal started a fun little link-up about gratitude and I decided to play ball. I blogged last week about Thanksgiving and how grateful I was for all the love in my life. Instead of waxing lyrical about how wonderful my life is, I thought I’d talk a little bit about what gratitude is. I did some research last week and found a brilliant blog by Amit. Amit of Happier Human has done all sorts of research into gratitude and it’s health benefits. He has written numerous blog articles and reviewed individual journal articles. As a psychology graduate, I liked this A LOT. Firstly, because I am geeky and secondly, because I wanted to provide you with real, solid information. Relatively speaking there hasn’t been a lot of research into gratitude, don’t get me wrong, there’s still loads out there but if you compared it to research on memory, gratitude is definitely left lacking. So before I dive into all the good parts of what gratitude can do for you, I thought it best to have a think about what it means to be grateful. Gratitude is experienced culturally but it is expressed throughout the world with many societies finding cultural and linguistic methods for showing it (McCullough, Kilpatrick, Emmons and Darson et al., 2001). The feeling of gratitude is defined in multiple ways and there really isn’t a single way to describe it as it is. It’s a super hard feeling to define but it has been described as a mix of joy and admiration. 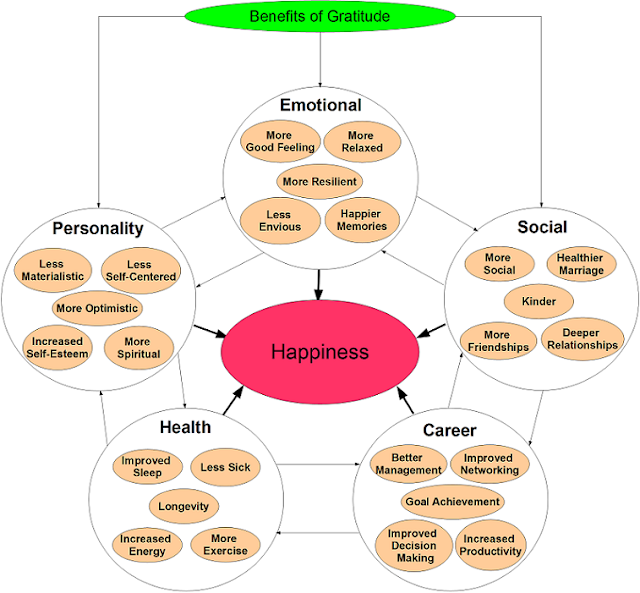 Research has found heavy links between the gratitude and feelings of happiness, pride, contentment, hope, trust and regard (Emmons &amp; McCullough, 2003). Some (Brown &amp; Levison, 1987, as cited in McCullough et al., 2001) believe that gratitude is anything from a state of feeling indebted or socially obligated to another individual because of a kind act to an expression of politeness. I’m not so sure I like these definitions because, for me, gratitude isn’t about ‘owing’ someone a favour, so I was happy to find that Emmons and McCullough (2003), stated that gratitude focused more on the perception of the individual focusing on a positive personal outcome. The positive outcome was not necessarily deserved but it had happened anyway. They went on to say that the outcome had to have been brought about by another person, which, in my experience, isn’t always true. Wood, Joseph and Linley (2008) obviously think in a similar manner to me, stating that those who expressed gratitude and were happiest often involved a wider range of people and events, including God, sunrises, sunsets, weddings and good memories for which to be grateful for. Well, gratitude is something that makes up massive parts of many cultures, with major religions espousing the necessity of gratitude and the act of being grateful. It plays a big role in Christian, Jewish, Muslim, Buddist and Hindu thought, to name but a few. In fact, gratitude is such a revered feeling in society that to be accused of ‘ingratitude’ is a great offense and a big indication of moral failure. This is a universally powerful accusation (McCullough et al., 2001) and means that gratitude has more importance within society than we generally acknowledge. For me, gratitude is important for my own journey as a person, but it has greater benefits for society, with research showing that gratitude promotes the use of kindness to oneself, other people and society. Overall, gratitude can help the world run smoother and assist in making relationships better. I’m going to start looking into the benefits that showing and expressing gratitude can have on your health and general well being. What do you think? Does this sum up gratitude to you?